Introduction: The Great Rivers Council is proud to be the first council of the Boy Scouts of America to have Invention Scouts as part of its scouting program. Invention Scouts was started in 2015 by Dr. Jeanne Sinquefield; with the mission of helping scouts to "Become Inventors for Life". For more information on the evolution of Invention Scouts, please go to www.inventionscouts.org. Check out the video below to hear from Scouts and Adults about why inventing is so important to them. Program: Invention Scouts provides a unique, fun, accessible, and inexpensive program to ALL levels of scouting (Cub Scouts, Scouts BSA, Venturing, & Exploring). Invention Scouts activities and events are offered year-round. Please review the following link to see Invention Scouts' annual activities calendar. This calendar is updated regularly. To schedule unit level activities, please contact Thomas Yang. Facilities & Resources: Invention Scouts has a wide-variety of resources that can be utilized by your unit. The flagship of Invention Scouts is the Sinquefield Invention Campus located at the Lake of the Ozarks Scout Reservation; opened in May 2017. The Great Rivers Council is currently the only council to have an invention campus. The Sinquefield Invention Campus consists of three parts: the lab, the program building, and the blacksmithing/metalworking building. The lab is a 6000 square foot, state-of-the-art facility fitted with a multitude of cutting-edge technology including Epilog Lasers, and 3D Afinia Printers. The program building is fitted with a ShopBot CNC Router and a full woodworking area. The blacksmithing/metalworking area consists of various blacksmithing tools, welding equipment, and belt sanders among others. We are currently constructing a new, metalworking building. This building will contain blacksmithing equipment, full welding capabilities, an additional forge, a power hammer, and a plasma cutter. This new building will be opened for summer camp 2019. There are eight focuses of the Sinquefield Invention Campus: electronics & robotics, 2D design & woodworking, 3D design, print & design, multimedia, blacksmithing & metalworking, leadership, business & ethics, and creativity. 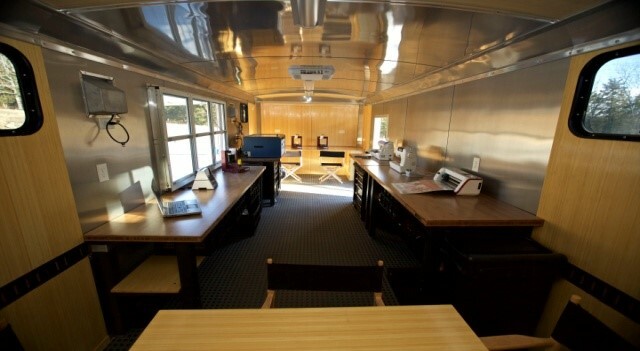 In addition, the Great Rivers Council has two mobile invention labs, a 14-foot trailer and a 24-foot trailer. 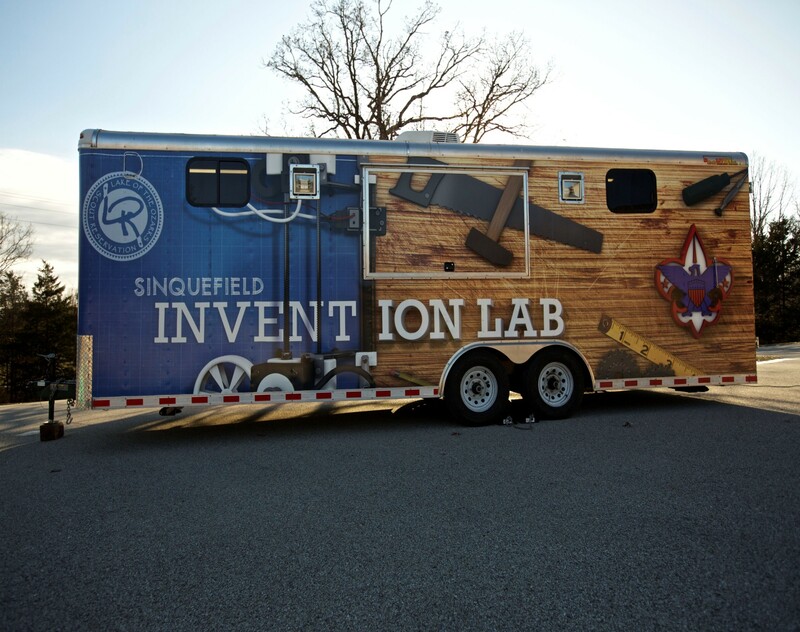 Designed by three Eagle Scouts, the mobile invention labs embody the mission of Invention Scouts. Each mobile lab can be hooked onto a truck and taken anywhere in the council. Each is fitted with an Epilog Laser, 3D Afinia Printers, a Brother Embroidery Machine, and littleBits among others. The mobile labs are great tools for school night join sessions, unit meeting activities, weekend activities, and more! To learn how to reserve the mobile lab for your unit, please contact Invention Scouts Executive, Thomas Yang, at thomas.yang@scouting.org or (573) 449-2561 x 210. If you have any questions or are interested in starting/joining an Invention Scouts unit, please contact Thomas Yang.